I must confess to feeling a bit old today. 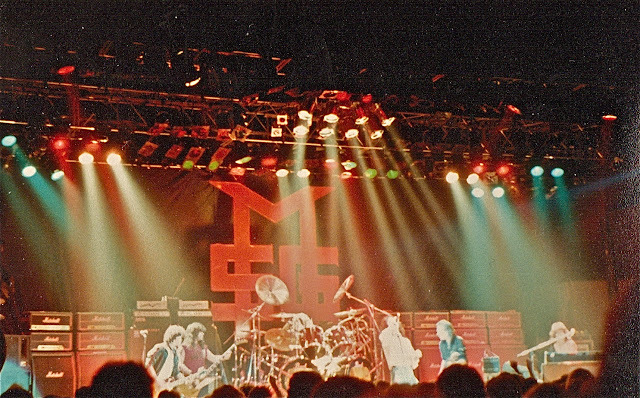 Thirty years ago, aged seventeen, I caught the bus to Bristol to see the Michael Schenker Group at the Colston Hall. I was my first "proper" gig (I don't count The Rolling Stones as I was given the ticket). 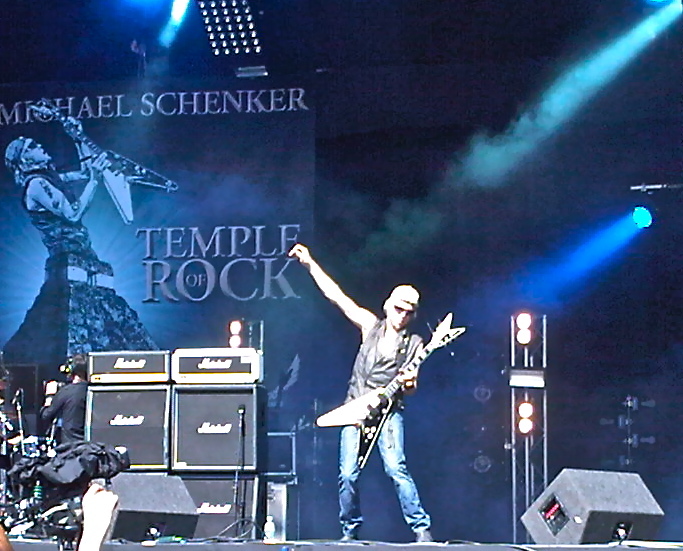 Thirty years on I saw Michael Schenker again in Bristol, this time with my seventeen year old son in tow! Metal Mickey needs no introduction for a series of classic songs from stints in the Scorpions, UFO and the Michael Schenker Group. He fell out of favour musically with me following the less than stellar Built To Destroy (though to fair this was the tour I went to and they were amazing live). By the time he got around to the McAuley Schenker Group my musical tastes had gone in a different direction to commercial rock and he dropped off my musical radar. The set list is certainly a trip down memory lane with classic track after classic track from the Scorpions, UFO and MSG, all superbly performed and well received by an enthusiastic audience. The band played two "new" tracks, one of the Temple of Rock album and one from the forthcoming Bridge the Gap. They didn't sit well with the rest of the set, but given I was nearly word perfect on every other song this may have been down to a lack of familiarity as opposed to lack of quality. Overall a great night, it certainly put a smile on my face and my only regret as Doctor, Doctor closed a storming evening was having missed UFO in Bath a couple of months back. Old school heavy rock still kicks! Great stuff Steve. Saw the fella at HV2011 and he was incredible. One Night at Budokan and Strangers in the Night still extremely high on my playlists - when he's on form, he's just about unbeatable.